PAIR (2) Alcon O.E. Replacement Front Rotor Rings for CBA-R35 GTR. (US 2009-2011 -- RoW 2008-2010) 380mm x 34mm Crescent Grooved. Alcon O.E. Replacement Front Rotor Rings for both CBA-R35 GTR. (US 2009-2011 -- RoW 2008-2010) Includes both LEFT and RIGHT rotors along with Alcon Hardware. These will re-use the stock center hats with the provided Alcon hardware. 380mm x 34mm Crescent Grooved. Motorsport grade casting discs with Alcon's signature Crescent grooves. 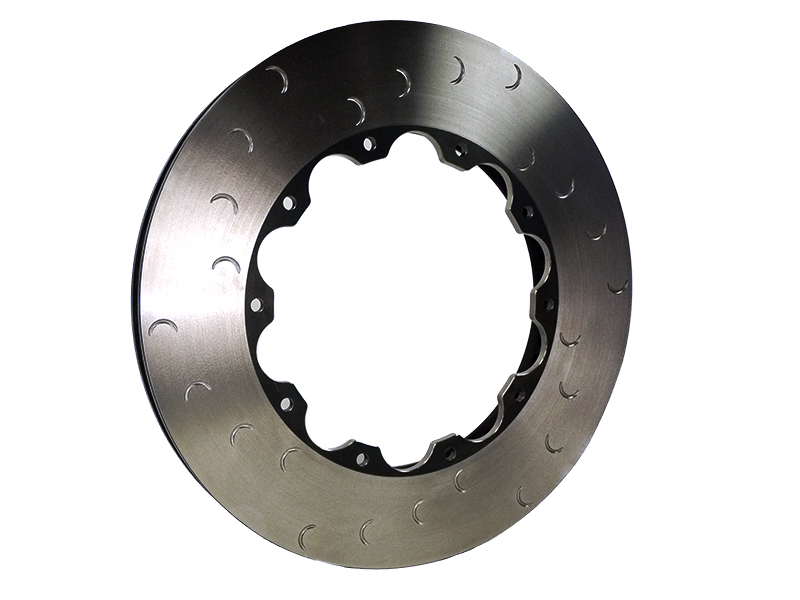 These will last 2-3 times longer than the OEM units and offer better initial bite, less prone to crack, and they work well for both street/track performance built GTRs; or simply a much better alternative than O.E. as a GTR maintenance product. Installation is approximate 2-3 hours with the provided installation guide. This part is the Disc and fasteners ONLY.